PODCAST 197 WAS FILMED IN FLORIDA! Hey guys! It's been awhile since we've done a podcast, so to make up for lost time, we are giving you one that's 2 hours long! We filmed this podcast in Florida at EXP Con! We talk about new Videos, Video Games and Weddings! (But not in a girly way.) We also answer questions from the audience. 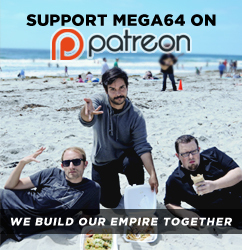 There may also be an "Act Off" between Eric and a very notorious Mega64ums member!Â Listen to it all here! That's all for now! Go to our store and buy something...I don't know what else to tell you. Oh yeah! We are going to be on Rockband Network on Thursday!!! BUY IT!! !